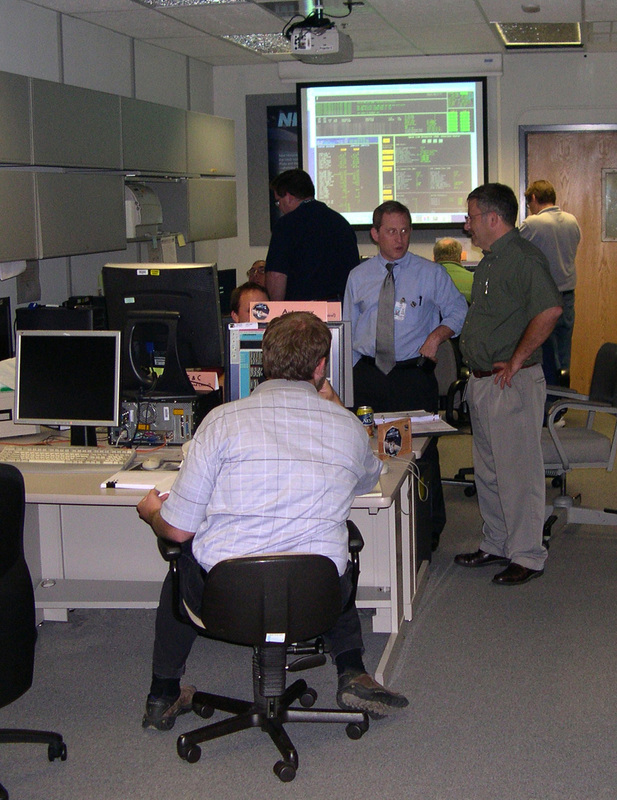 Principal Investigator Alan Stern, Mission Manager Mark Holdridge and other members of the New Horizons team monitor the Sept. 25 trajectory correction maneuver in the Space Science Mission Operations Center at the Johns Hopkins Applied Physics Laboratory, Maryland. With a slight tweak of its trajectory this week, New Horizons is headed toward the heart of the distant Pluto system. Starting at 4:04 p.m. EDT on Sept. 25, New Horizons fired its thrusters for 15 minutes and 37 seconds, using less than a kilogram of fuel to change its velocity by 2.37 meters per second, or just more than 5 miles per hour. 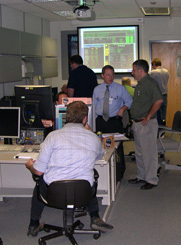 Monitored from the New Horizons Mission Operations Center at the Johns Hopkins Applied Physics Laboratory (APL) in Laurel, Md., the maneuver was only the fourth trajectory correction for the spacecraft since launch in January 2006, and the first since it sped through the Jupiter system last February. The spacecraft was nearly 727 million miles (1.16 billion kilometers) from Earth during the maneuver – just about halfway between the orbits of Jupiter and Saturn. The mission team will evaluate data from this maneuver to see if others might be necessary before New Horizons encounters Pluto in July 2015. Without the burn, New Horizons could have missed Pluto by about 300,000 miles (about 500,000 kilometers). Its success points the spacecraft inside the orbits of Pluto’s moons. The team spent the past five weeks collecting Doppler tracking data to support the TCM and checking out various spacecraft subsystems. The checkout will also include final commissioning activities for several science instruments and subsystems, and the team will put the spacecraft into full encounter mode for the first time.